Storm Warning and Preparation: message from Essex Emergency Management Dept. Please help our Fire Department by digging out hydrants so we can have the best possible response in case of fire. Please also take preventative action to safely remove snowpack from flat roofs and decks as we anticipate more snow this week. And please also clear the area around your drainage downspouts and heating oil fill spout to make them accessible and pay particular attention and use care if freeing snowpack close to propane lines. Our public works crew and emergency responders are grateful for your continued assistance and we thank you for your attention to these matters. CHESTER—The Chester Community Center is no more, demolished after heavy snow collapsed the building’s roof last week. First Selectman Tom Marsh said Monday the building at 61 Middlesex Avenue, also known as Route 154, was demolished Friday after snow from the Jan. 26 storm collapsed the roof of the structure. Marsh said he learned of the roof collapse on the afternoon of Jan. 27, last Thursday, after town road crew workers noticed the walls of the two-story structure had bulged and popped out. Marsh said he inspected the structure with Building Official Ronald Rose and town engineer Geoff Jacobson, who recommended the structure be demolished as soon as possible. The building was constructed in the 1920s for use as a firehouse, and housed the Chester Volunteer Fire Department until the early 1970s. It has been used as a community center ever since, and housed the offices for the town’s resident state trooper and police constables until the current town office building on Route 154 opened in 2003. Marsh said building was used by the town’s park and recreation department, particularly on rainy days in the summer, and various community organizations, such as the fire and drum corps and the local girl scouts troop. The small parcel where the building was located abuts the town’s North Quarter Park. Marsh said he anticipates a wide-ranging community discussion in the coming months about potential uses for the site. He said the options could include construction of a new multi-use community center. 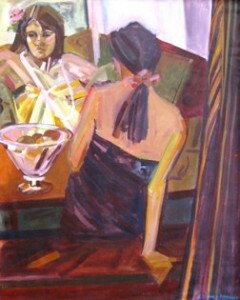 “A Contemporary Look,” a special invitation-only exhibition, is now hanging in Lyme Art Association’s Goodman Gallery. The exhibition of contemporary representational artwork by invited artists runs through Feb. 26. Charles Taylor studied Art at Bard College in upstate New York, where he found inspiration from everything around him. He has traveled extensively and uses sketches from his travels to compose multi-media monotypes as well as works in oil. Taylor resides in Lyme. For over 40 years, Nancy Lasar has worked with images observed from nature using a variety of media (including drawing, painting, printmaking and photography). Through layering, drawing, and erasing, Lasar’s work emphasizes temporality and the interconnected, dynamic movement of life. Lasar’s award-winning images have been exhibited throughout New York and New England, including The National Academy Museum, NY; the Mattatuck Museum; the Bruce Museum; the Lyman Allyn Art Museum; the New Britain Museum, and the International Print Center, NY, just to name a few. Lasar currently lives in Washington, Conn., where she also maintains her studio. James Reed is considered a master printer of both intaglio and lithography, and has printed in various shops throughout the United States, Mexico and France. Reed has collaborated with over 200 artists during a professional career that has spanned over 35 years. His work is included in many public and corporate collections, including the New York Public Library; the University of Nebraska Museum; the Achenbach Print Foundation, San Francisco; the Housatonic Museum of Art; the Smithsonian Institute and the Tamarind Institute. Reed received his undergraduate degree from the University of Missouri, Kansas City and his Masters from San Francisco State University. He has also studied at the prestigious Tamarind Institute in Albuquerque, New Mexico. While continuing to paint, Margaret Somers Kangley has pursued a career in art education as an award-winning secondary school art instructor and as an Adjunct Professor at Wesleyan University. She has also served as a consultant to the State Department of Education. Kangley’s work appears in many private and corporate collections. LAA’s “19th Annual Associate Artist Exhibition” of landscape, portrait and still life paintings by Associate Artist members is on view in the Association’s front galleries, and also runs through Feb. 26. 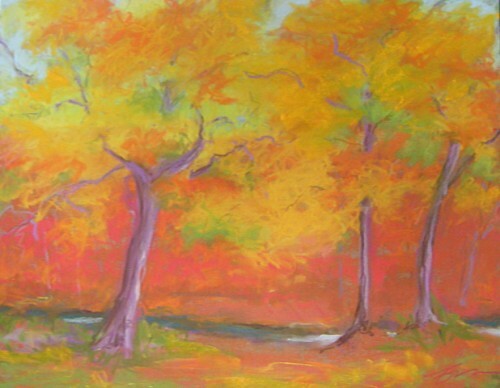 The Lyme Art Association was founded in 1914 by the noted American Impressionists and members of the Lyme Art Colony and continues the tradition of exhibiting and selling representational artwork by its members and invited artists, as well as offering art classes and lectures to the community. The Lyme Art Association is located at 90 Lyme Street, Old Lyme, CT, in a nationally recognized historic building designed by Charles Adams Platt. Admission is free with contributions appreciated. Gallery hours are Tuesday through Saturday, 10am to 5pm, Sunday 1 to 5pm. At first, it seemed to all come down to a question of semantics. Should the Preserve’s proposed three clusters of housing, called “pods,” be characterized as the first phase of the phased development of the 1,000 acre property? Or, should the pods be considered simply as “stand alone” developments? However, what is at stake is not simple semantics. Rather it is a question of whether, to get permission to build three pods of housing, the Preserve is prepared to reserve close to 500 acres of its property in perpetuity as open space. Throughout much of the drawn out Preserve proceeding before the Old Saybrook Planning Commission, the developer’s counsel, David M. Royston, has staunchly maintained that the three pods for 221 new homes in the original plan, and now 230 in the new one, are a “stand alone” development. This characterization, the counsel of the Planning Commission, Mark J. Branse, strongly disputed. Far from being a “stand alone” development, Branse maintained that the three proposed pods were clearly the first phase of a phased development of the Preserve’s property. Then, suddenly, in a memorandum to the Planning Commission on January 19, the Preserve’s Royston appeared to concede the point, that the three pods could indeed be characterized as the first phase of the full development of the Preserve. Commission counsel Branse finds this frankly tortured English “unclear,” he said in a recent interview, and he said that he would try to clarify what was being said at the upcoming public hearing on February 2. That hearing will be held, incidentally, at the Middle School in Old Saybrook beginning at 7:30 p.m.
What is at stake here is a huge question for the Preserve. Will the developer even want to go forward with the pods, if their approval, as part of a first phase of the site’s full development, requires reserving as open space 483.3 acres of its property in perpetuity? Old Saybrook land use regulations clearly require that when a property is developed in phases that included in the first phase there must be the reservation of the entire amount of the open space that was approved in the original development plan. 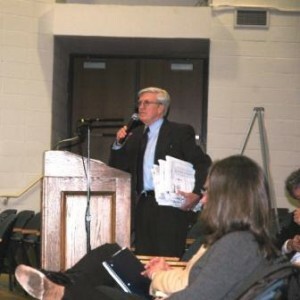 In his remarks before the Planning Commission on December 1, 2010, Robert A. Levine, President of a prominent real estate development firm based in New York City, and the owner’s representative of the Preserve, made no reference to the town’s land use regulation that applies in the case of a phased development. As yet there is no clear expression by the owner’s representative of recognizing that concomitant with the Planning Commission’s approval of the first phase of the phased development of the three pods is a requirement to reserve almost half of the Preserve’s present property as open space forever. The severe winter weather throughout much of the United States has caused the cancellation of more than 14,000 blood and platelet donations. The result is the lowest blood supply in any January for a decade. Every two seconds a patient in the United States needs a blood transfusion. Blood is perishable and has no substitute. Red blood cells have a shelf life of only 42 days. So as is obvious, there is a critical need for donors now. We are making this appeal hoping that it will get the attention of potential donors who have not yet made appointments for our drive at Essex Town Hall on Friday, Feb. 4 starting a 1:00 p.m. The last appointments are scheduled at 6:00 p.m. and the doors remain open until 6:15 p.m.
We welcome walk-ins at these drives, but please be aware that priority is given to those with appointments. The Red Cross relies on the appointment schedule for planning and staffing of the drives. Appointments can be made by calling the Red Cross at (800)733-2767, or at their website: redcrossblood.org. If you are a first-time donor, the website will describe the procedure so that you can get comfortable with the process. We hope to see you there! Do we need more teachers? Is unemployment less of a problem for teachers than it is for other workers? Today’s career column aims to answer these questions for would be teachers in Connecticut. In Connecticut there are a few paths to become certified to teach elementary or secondary education at a public school. You can get an undergraduate degree, typically a Bachelor’s of Science in education, from a number of colleges. Or, if you already have a college degree, you can complete a post-baccalaureate (post college) program leading to teacher certification at a university or an “alternative route to teacher certification” program through the state over the summer or on weekends (available for specific subject areas). To become a special education teacher you need graduate level coursework or, if you already are a certified teacher in another area, you can complete an alternative certification program. Everyone has to take some standardized tests, the Praxis exams. None of these paths to certification are highly competitive or time consuming. However, once you are certified, finding a teaching job can be challenging, depending on where and what you hope to teach. It is not too difficult to find openings for teachers in shortage areas. Currently, in Connecticut, these include English, family and consumer science, math, music, science, technology, and world languages. Special education also seems to be in demand. There also tend to be openings for teachers in inner city school districts. But getting hired on as a teacher in elementary education, social studies, art, or physical education in non inner city school districts is difficult, with many more applicants than openings. Once hired, new teachers face multiple challenges including a lot of paperwork, mandates, budgetary constraints, and managing a classroom of children. They need to get along with other teachers, administrators, and parents. They need to write lesson plans and grade papers after school and on weekends, and they need to complete a graduate degree within a certain time frame. In addition, early career teachers are closely evaluated and not all have their contracts renewed. Good teachers like children and are motivated to help them learn. They communicate well and have common sense and self-control. They are patient, fair minded, optimistic, energetic, and creative. They manage stress well and can cope with a challenging bureaucracy and multiple demands. The best know intuitively that they want to teach, and many have wanted to teach since childhood. Teaching can be a great career choice for energetic adults who are looking for an “encore” career. It can also be a great choice for young people coming out of college or parents returning to work after staying home with children of their own. But would be teachers need to know what they are getting into. They should be prepared for a challenging job search or plan to teach in a shortage area or in a difficult school environment. As is true for most things worth doing, they will have to work hard at their chosen career. Job boards for teaching jobs in Connecticut can be found at www.cea.org and www.ctreap.net. Note that job postings for teachers are to some extent seasonal. Once a budget is passed and teachers give notification that they are retiring or resigning, school districts know which positions need to be filled for the coming school year. Karen Goldfinger, Ph.D. is a psychologist in private practice in Essex, Connecticut. She specializes in psychological assessment for clinical, educational, and forensic purposes and has a special interest in career assessment. She and two partners recently established KSB Career Consultants, LLC to provide on line career consultation for clients in Connecticut and New York. Contact her with questions, comments, or suggestions for the column at karengoldfinger@comcast.net. REGION 4— The U.S. Department of Education’s Office of Civil Rights has opened an investigation of a discrimination complaint involving disciplinary actions taken against an Asian American student at Valley Regional High School last fall. 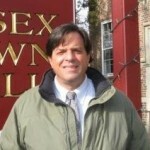 Jim Bradshaw, a spokesman for the Department of Education, Friday confirmed the Boston, Mass. office of the department’s Office of Civil Rights has begun a formal investigation of a Dec. 15 complaint filed by Bounthanh Outama, father of Aaron Outama of Essex, a senior at Valley Regional High School. Outama, a Loatian immigrant, is questioning a 10-day suspension imposed on his son in September for using a school computer to download and print information about a September 23 rally supporting high school Principal Eric Rice, who resigned in October from a job he had held for less than three months. The complaint names Superintendent of Schools Ruth Levy, Assistant Superintendent of Schools Ian Neviaser, acting high school Principal Kristina Martineau, and Stacey Lafferty, a Madison lawyer who was hired by the Region 4 Board of Education in November to investigate claims that school officials imposed a “gag order” on students and staff in the wake of Rice’s departure from the principal job. Neviaser had been principal at the high school before Rice was hired last summer, and Martineau had been the assistant principal. Levy and school board members have declined to comment on the reasons for Rice’s departure, which included a $62,150 severance payment and extended health insurance coverage. Rice, a Chester resident, has never commented on the reasons for his resignation from the principal job. The complaint also contends Aaron Outama was forced to write a letter of apology to Levy for distributing information about the rally. It also contends that language barriers prevented the Outamas from advocating for their son at the time of the discipline. Lafferty was named in the complaint because the Outamas contend her Nov. 30 report to the Region 4 Board of Education omitted details of Aaron Outama’s account of what happened at the time of the suspension, including claims that senior class officers asked him to print out the information about the Sept. 23 rally. Lafferty’s report, which was accepted by the Region 4 school board, concluded that student’s free speech rights had not been violated during the events surrounding Rice’s departure from the principal job. Bradshaw said most OCR investigations are completed in about six months. The investigation could include a site visit, review of documentary evidence submitted by the parties, and interviews with the complainant, school district personnel, and any other witnesses. At the conclusion of the investigation, the office would issue a report that would either conclude there is insufficient evidence to support the complaint, or that a “preponderance of evidence” supports a conclusion that the school district violated federal anti-discrimination laws. 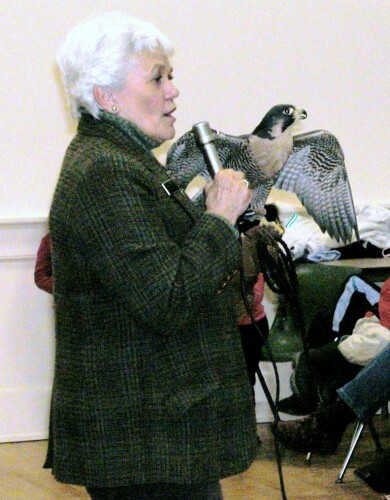 Potapaug Audubon & The Essex Land Trust will host a lecture on “Raptor Identification” on Thursday, Feb. 3 at the Essex Town Hall at 7:30 p.m. with Guest Speaker Milan Bull, Senior Director of Science and Conservation for the Connecticut Audubon Society. Free Program. Open to the public. Refreshments served after program. For more info: 860-767-9763. Essex, CT – If getting up close and personal with live raptors sounds like a fun, then mark your calendar and set your GPS for Essex on Sunday, Feb. 13. 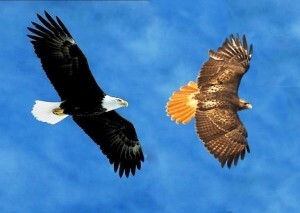 As part of its EagleWatch 2011 programming, the Connecticut River Museum will host a “Wind Over Wings” Live Raptor Show at Essex Town Hall at 3:30 p.m. The show, presented by Wind Over Wings, a non-profit bird of prey rehabilitation and education center, will introduce birds of prey and tell their individual stories of survival and conservation. With funding support from the Essex Garden Club and Potapaug Audubon Society, this program is free to the public but seating is limited and is on a first-come, first-seated basis. For those looking for an on-water adventure and a chance to see majestic bald eagles in their winter habitat, the Connecticut River Museum, together with Project Oceanology, are offering eagle-viewing boat tours on Fridays at 1:00 pm and on Saturdays and Sundays at 9 a.m., 11 a.m. and 1 p.m. from February 4 through March 13. Project Oceanology’s vessel Enviro-lab III departs from the Museum’s dock for an up-close view of winter wildlife, Bald Eagles, and other big birds of prey. Educators from the Museum and Project Oceanology provide narration while passengers can enjoy viewing from the heated cabin or outside deck area. In addition, there’s an opportunity to assist in collecting water samples and compiling data for water-quality monitoring programs that are part of an ongoing environmental study with the Museum. Every boat tour ticket includes free admission to the Museum where the story of the Bald Eagle continues to unfold in the Eagles of Essex exhibit. For those interested in capturing birds of prey with a camera, the Connecticut River Museum will also present a one-hour “Introduction to Bird Photography” workshop on Saturday, February 12 at 1:30 pm. International nature photographer Stanley Kolber will present the do’s and don’ts of photographing birds in the wild in the Museum’s Boathouse Gallery. The workshop is free with paid admission to the Museum. For a full listing of event details, go to www.ctrivermuseum.org or call 860-767-8269. The Connecticut River Museum is located on the Essex waterfront at 67 Main Street and is open Tuesday – Sundays from 10 am to 5 pm. The Region 4 Education Foundation will be hosting its annual spelling bee on Friday, April 1, 2011. The event will take place in the auditorium of Valley Regional High School located on Kelsey Hill Road in Deep River. The fun will begin at 7:00 pm. Teams will consist of 3 people. There is a $300 donation per team benefitting programs at Valley Regional High School and John Winthrop Middle Schools. Rules and guidelines will be sent to each team one week prior to the bee. The deadline for registering is March 15, 2011. For more information contact Taffy Glowac at 767-0650 or tafyc@aol.com. 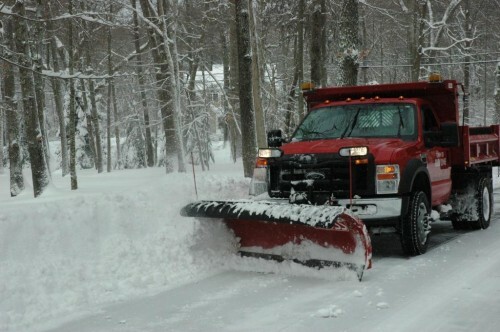 Message from Tom Marsh: Help needed with snow removal in Chester! They say this is one for the record books, and I believe them. As you know the weather wizards were a little off yesterday as to when the snow would start and how much we would get. The 5 PM start time was actually 9:30 AM and the 6 to 9 inches turned into 14 to 18. Because of the early start our crews have been working since 5am Wednesday. Except for short breaks they have been working straight through. The volume of snow has taken its toll on our vehicles as well. Though all are in service, minor repairs taking them off the road for an hour here and an hour and a half there haven’t helped the situation. The bottom line is this is an extraordinary situation, and there is no cavalry coming to the rescue. The state as well as every contractor with equipment is out working. If you happen to own a commercial dump truck or a loader and would like to help in the effort please contact the town hall at 526-0013 ext. 202. If leaving a message please provide your name, phone number, and equipment, including model number. We will compile the list and develop a plan of attack. Our town crew of three, assisted by several outside contractors are working first to make roads passable, meaning in many places one lane. The main goal is to make certain our emergency vehicles can get through the town roads. Next we will be pushing back what we can to widen the roads. Given the volume of snow that was in place before the storm, there is little room for widening. We will be sanding, and finally digging out with payloaders and trucking the snow. 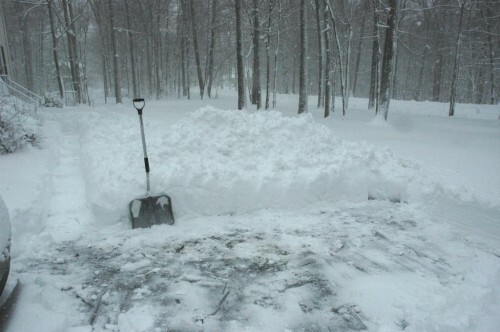 Our standard dump sites are about full so we will have to truck the snow further, making the time between trips longer. As I mentioned after the first storm we know a mailbox or two is going to get smashed and we will be plowing snow back into shoveled driveways. Town vehicles are not available to plow driveways, and sidewalks are not expected to be passable for a day or two. If you do have a medical emergency call 911, we do have plans in place to coordinate a response with fire, ambulance, police and public works vehicles. Remember to keep a passage clear to your oil or gas tank so deliveries are possible. I am sure the mailmen would appreciate the help of shoveling out your mailbox (if you can find it…mine went missing this morning). If you have elderly neighbors or know of anyone else that may have a need or just a person to talk to, give them a call. If you are heading out to the market ask a neighbor if they need anything. Little stuff like that can go a long way. I have attached a link for the 9 am Dept of Emergency Mgt. and Homeland Security weather update showing some snow totals. Looking at the NOAA website, Friday, Saturday and next Tuesday all call for a chance of snow. At this rate school won’t be out until the 4th of July. A sense of humor can go a long way on days like this. Friends, families , and colleagues gathered together recently at a going-away party to bid farewell to Judie McCann, long-time Head of Children’s Services at the Essex Library. 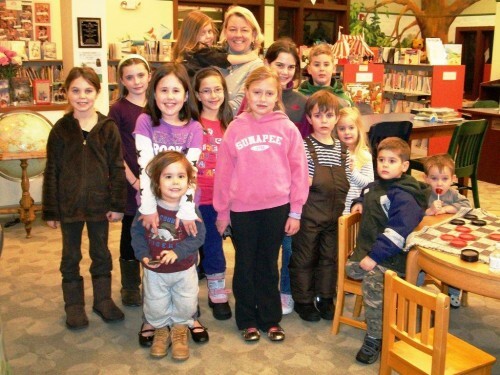 Ms. McCann, or “Miss Judie” as she’s known to a generation of local kids and their parents, has left to become Head of Children’s Services at Portland Library, her childhood home town. She leaves behind legions of young readers, whose first story times she hosted, and an energetic and able replacement in her former assistant, Jessica Branciforte, an MLS candidate at Southern Connecticut State University. “Miss Jess’s” new assistant is Chester resident Shawn Ruffer, also an MLS candidate, the mother of two young children, and a familiar face to Chester Elementary students as a volunteer in that school’s Library. Literacy Volunteers Valley Shore, CT, Inc. , which offers English tutoring , has moved to new offices in Westbrook as of Jan. 15, 2011. The non-profit organization provides English tutoring services to adults who wish to speak, read or write English or who wish to improve those skills. The instuction is one-on-one, completely confidential and free of charge to the students. As of Jan. 15, 2011 they are now located on the lower level of the Westbrook Library, 61 Goodspeed Drive, Westbrook. Their former office was located at 25 Middlesex Turnpike, Essex. They can be reached at P. O. Box 1006, Westbrook, CT 06498, Telephone 860-399-0280. Their office is open each weekday from 8am to 2pm and every other Saturday from 10am to 12 noon. They also feature a used book sale at their office during those hours. If anyone is interested in volunteering with them as a tutor or otherwise, they can contact them directly. On Thursday evening, Jan. 27, 2011, over 60 volunteers and staff from county non-profit organizations will embark upon a daunting task: to count the number of people who are homeless in Middlesex County. These include people who may be living in shelters, in transitional housing programs, on the streets, in the woods or in abandoned buildings. This effort is part of the national Point-in-Time Count (PIT) that has mobilized non-profits, local and state government agencies, and hundreds of concerned citizens from every region of the country. Its purpose is to gather critical data in order to target efforts to prevent and end homelessness. “Collecting reliable baseline data is essential to understanding the causes of homelessness and designing effective interventions to help homeless people rebuild their lives,” said Carl Rodenhizer, Middlesex County PIT Coordinator and Associate Executive Director of Mercy Housing and Shelter. The count will collect annual data in order to better understand the dynamic causes of homelessness, to evaluate the effectiveness of programs serving homeless people and, ultimately, to track progress towards ending homelessness in Middlesex County. The PIT will also help to identify the some of the disabling health condition s of chronically homeless people. 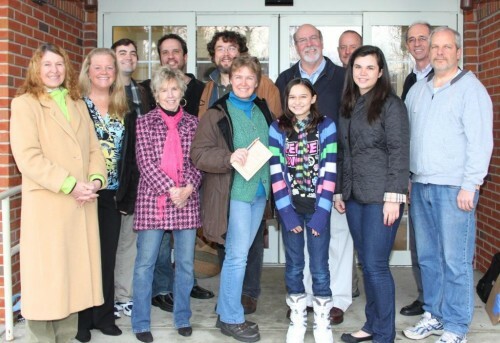 In late 2007, a group of community volunteers came together to form the Middlesex County Coalition on Housing and Homelessness for the purpose of implementing the county’s Ten Year Plan to End Homelessness. Since the Coalition began its work, homelessness in Middlesex County has been reduced by 30% among single adults and 36% among families. Through the creation of permanent supportive housing, the operation of a Homelessness Prevention Fund, the development of programs to help homeless people find and retain jobs, and improving coordination of services for the homeless, the Coalition is dedicated to achieving its goal of “An End In Ten”—eradicating the tragedy of homelessness from our communities by 2018. Anyone interested in volunteering to assist with the count should contact Ann Faust at the Middlesex County Coalition on Housing and Homelessness at (860) 346-8695 or Ann@AnEndInTen.org. Essex, CT— Essex Savings Bank held its semi-annual Trustees Meeting Monday, Jan. 24, 2011 at the Bank’s Plains Road office in Essex. Bank Chairman, Mr. Kenneth Gibble, welcomed the attendees and stated that he was proud to preside over a meeting where traditional banking still produces positive results. Mr. Gregory R. Shook, President and CEO, reported on the Bank’s performance for the fiscal year ending September 30, 2010, “I am pleased to report that we had one of our best and most profitable years in the history of the Bank with earnings of $2 million. Core deposits rose 8% and our credit quality remained better than peer. Our capital increased by $2.86 million – remaining more than double the requirement of the FDIC for the Bank to be considered well capitalized. Recently, we sent out a news release that underscores our success – we will again be distributing another quarter of a million dollars representing 10% of our after tax net income to worthy non- profits. By year end, we will have contributed to the community in excess of $3.2 million over the past 15 years. Our new financial service branch in Madison is having great success and is ahead of our projections. We are also proud to report that our Trust Department, led by superb professionals, Granville Morris and Moira Martin, has brought assets under management to over $200 million and revenues to record levels.” Shook noted that total Bank assets grew $16 million to $287 million as capital increased to $35 million. Mr. Charles R. Cumello, Jr., Vice President of Essex Financial Services, reported strong earnings. Gross revenue for the fiscal year ending September 30, 2010 was $11.2 million. Assets under management grew to $3 billion at fiscal year end. Mr. Cumello said, “The firm welcomed new clients who appreciate the independence and service they receive and the referral based practice continues to expand from centers of influence, such as accountants, lawyers and trust and Bank clients.” He also noted that in February 2010, Barron’s magazine named Essex Financial Services’ President , John W. Rafal the #1 Independent Financial Advisor in Connecticut. Approaching from the south, Lyme Academy College of Fine Arts stands proudly on the left-hand side of Lyme Street immediately before the I 95 overpass. Lyme Academy College of Fine Arts is an accredited college offering a four-year Bachelor of Fine Arts (BFA) degree in painting, sculpture, drawing and illustration, as well as a three-year Certificate, and a Post Baccalaureate Certificate. The College also hosts a variety of Continuing Education courses including a Pre-college program for high school students. Having transitioned from an academy to an accredited, degree-granting college some 14 years ago, the College is gaining national prominence with graduates who are shaping the future of art across the country. The College welcomes community members who would like to support the production of art through volunteer efforts. Administrative staff will work with you to tailor your role to fit both your interest, and your schedule. Mother and daughter Insuk (standing) and Kiana Hainsworth are long-time volunteers at the College. Volunteers representing a wide spectrum of ages currently work at the College. Mother and daughter Insuk and Kiana Hainsworth of Lyme have been volunteering at the College for some two years. They work – sometimes together and other times alone – in a variety of administrative capacities. 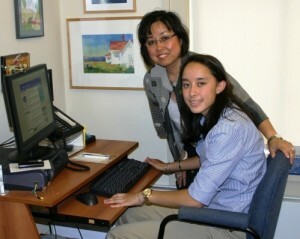 Insuk took on a key role for the 2010 annual Scholarship Party – , the College’s biggest fundraising event – when she chaired the mailing list committee for the event. Insuk comments, “Through volunteering, I have made friends with many of the staff, all of whom are accessible and make the College a very positive environment. I love the exhibition artwork and the chance to support the students, who produce exceptionally high quality and reasonably priced work. 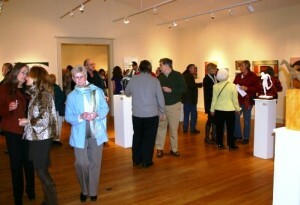 Opening receptions for art shows at the College are not only popular, but also offer a number of volunteer opportunities for members of the community. The Chauncey Stillman and Sill House Galleries at the College are open to the public with free admission from 10 a.m. to 4 p.m. Monday through Saturday. Similarly, all exhibition opening receptions are open to the public and campus tours are available at any time. Learn American Sign Language the Fun Way! Cathy Bishop, resident of Essex, always thought the language of the Deaf was a beautiful language. After her children were grown she returned to school and graduated with a degree in American Sign Language and Deaf Studies. She taught ASL in Vermont Adult Education for three years and also volunteered in the Deaf community. Cathy believes that ASL is an important language to learn because it enables you to communicate with the Deaf community. It has also been shown to improve reading skills and cognition. Cathy teaches her classes by using techniques that allow her students to use the language in everyday life. She uses games to help learning the language and make the classes fun. She includes in her class studies in deaf history. The class begins at the Ivoryton Library Feb. 16 at 3 p.m. and runs for 8 weeks. Each class attended is $3. Call the library at 860 767-1252 for more information. ESSEX— The zoning commission has approved a special permit for a pastry shop in the small shopping plaza at 31-33 Main St. in the Centerbrook section. The panel approved the permit after a public hearing Monday. William and Jacqueline Von Ahnen, residents of the Ivoryton section, will open the shop in a vacant space on the west side of the four-unit complex. The couple have worked previously at the Copper Beach Inn in Ivoryton and the now closed DuGlace Bistro restaurant in Deep River. Joseph Budrow, zoning enforcement officer, said no one spoke in opposition to the pastry shop at Monday’s hearing. Joining the Von Ahnens at the hearing were representatives of JMB Properties LLC, the Cheshire partnership that owns the shopping plaza. The commission imposed several conditions on the permit intended to limit on-site co0nsumption of food. The conditions include no tables and chairs, and no serving of prepared meals. Another condition requires that deliveries to the front of the shop be made after 2 p.m. The new pastry shop is expected to open late next month or in March. The commission last October approved a permit for a cheese shop at the complex that opened in December. Other businesses at the plaza are a breakfast/lunch restaurant and a liquor store. Talking Transportation: Where are the new M8 cars? Almost daily, on train platforms and in town, a commuter stops me to ask, “So, where are the new M8 rail cars?” I wish I knew! It has been six years since then-Governor Jodi Rell announced that the state would finally be replacing its broken-down rail fleet… six years! It’s taken that long for their design, bidding, construction and delivery. The first car arrived Christmas Eve 2009, already a year late due to builder Kawasaki’s construction problems. Throughout 2010, we were told that prototype testing was going well. But by November, we wondered why a date hadn’t been announced for the trains to go into service. After all, even Governor Rell had been promised that the M8s would run before she left office at the end of December 2010. So, in November the Commuter Council asked CDOT to bring us someone from Kawasaki to talk about the testing. They refused. Then, six weeks ago, there was a glitch: an electromagnetic pulse from the cars was affecting the signal system. This was a deal-breaker. Testing was stopped. But rather than advise legislators or the Commuter Council about this problem, CDOT and Metro-North gave the bad news “exclusive” to two reporters, who had to pledge they would not speak with any stakeholders with oversight. Those are questionable journalistic ethics and hardly “transparent”. Since when do government agencies get away with spin-control on such bad news? This past week, the Commuter Council asked CDOT for updates on the testing. We received the same vague generalities as we’d been given for a year: “The testing is going along as planned.” But this time, something new and disconcerting was added. A senior CDOT official told us “We take out the M8s every night and run them, and every night a new issue comes up.” A new issue? Yup… every night of testing a new problem is found. Among them, problems with the auxiliary power system, the automatic train control and the diagnostic computer monitoring. And until they are all fixed, the final crucial test, 4,000 error-free miles, can’t begin. And testing of the M8s on Shore Line East, under Amtrak’s power system and signaling, hasn’t even begun. Until the M8s can run on Shore Line East there will be no equipment to run on the long-promised New Haven to Springfield commuter rail line. But wait… there’s more. 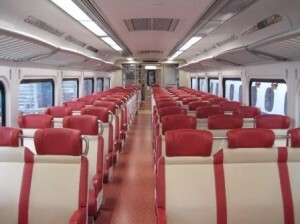 It seems that Metro-North itself hasn’t been overseeing Kawasaki’s testing of the M8’s, but a consultant. LTK Assoc. of Pennsylvania has been paid $15 million to monitor the tests. And this week their contract will be extended seven months for another $12 million. None of these details were shared with the legislature’s Transportation Committee or Commuter Council, despite our interest in this crucial testing stage. It came out in a newspaper article. If Metro-North feels it needs multi-million dollar consultants for another seven months after we’ve already had a year of testing, that sure sounds like they don’t believe the M8s will be in service anytime soon. Nobody wants to rush these cars onto the tracks, however badly they are needed. But given the $866 million cost of the project and the six years we’ve already waited, why can’t Metro-North and CDOT be open and honest about what’s going on? The Commuter Council has been asking the questions but the answers have been curt and condescending. Perhaps it’s time for the legislature’s Transportation Committee to get to the bottom of this story. Commuters (and taxpayers) deserve an answer. The monthly meeting of the Connecticut Valley Camera Club will be on Monday, Jan. 31, 2011 at 7:00 p.m. at the Deep River Library. This month’s presentation will be the club’s our own Dean Rupp and is called “Exhibiting Your Work”. Dean will take attendees on a journey through the world of galleries, exhibitions and participation in juried shows. Learning by examples or the mistakes of others can offer an opportunity to avoid costly and embarrassing errors. Since joining CVCC, Dean has gone from having never publicly displayed his works to significant recognition in prestigious shows. Among his many accolades, Dean has showed in “Images” a Guilford show, “Exposures”, a West Hartford show and the Mystic Art Center. In 2010, he became an Elected Artist at the Mystic Art Center, having been accepted to four juried shows in a twenty-four month period. Most recently, he received a “Judges Choice Award” in the “Tops in Connecticut 2010” competition, sponsored by the Connecticut Association of Photographers. CVCC holds several shows each year. A variety of other members have been entering shows through out the region. For many, showing their work is an important step in the advancement of their art. Confused by the new tax laws? Looking for some free professional advice? Come to the Essex Library for a two-hour seminar with tax accountant Trish Maselli of Clear Cut Bookkeeping, and learn what you need to know about the changes in itemizing deductions, capital gains and losses, and more, Saturday, Feb. 12, from 12:30 to 2. Don’t wait for April – it’s closer than you think. Call the Essex Library for more information at 860-767-1560. 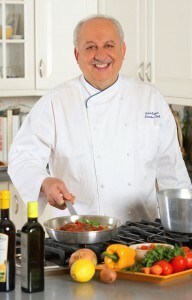 The Essex Library is delighted to welcome renowned local chef , Silvio Suppa, who will be talking about his new book, “Cooking with Chef Silvio: Stories and Authentic recipes from Campania,” co-authored by Anthony Riccio, on Saturday Feb. 12 at 10:30 a.m. The cook book highlights the social history and old world lifestyle of Campania through oral history stories recounted by Chef Silvio , owner of Cafe Allegre in Madison, who is not only a master chef but also a masterful storyteller. Beyond its authentic recipes, the book is a culinary memoir that documents “Il linguaggio delle nostre ricette,” the language of our recipes, and illustrates how food reflects the cultural influences of Arabs, Germans, French and Spanish who invaded Campania and left their cultural imprints. The story of Italian women who by their ingenuity and creativity formed the basis of Campanian cuisine is told in detail, a heritage learned by Silvio Suppa from his grandmother as a young boy on the family farm in southern Italy. Copies of the book will be available for purchase and signature ( a great gift for your Valentine!) Admission is free; please call the Essex Library at 860-767-1560 to reserve a seat. 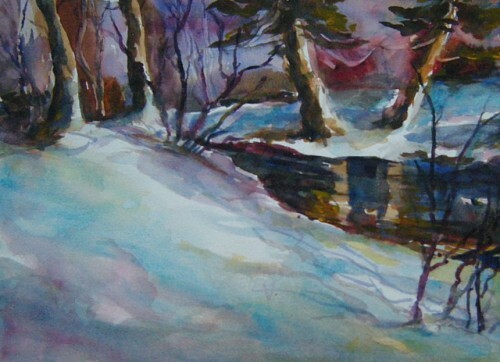 Francine Curto will exhibit her paintings of Chester and the Pattaconk Brook at Chester Village West in February. Her exhibit, titled “The Pattaconk Runs Through It,” is part of Chester Village West’s monthly shows of works by Chester artists. Francine’s exhibit opens with a reception, open to the public, on Friday, Feb, 11, from 5 to 7 p.m. Complimentary wine and hors d’oeuvres prepared by the Chester Village West chef will be served. Following the reception, the exhibit at Chester Village West can be seen daily from 9 to 5 until March 10. Francine says she has found a place in Chester to use her painting as therapy of life, living and reflection of her years in Connecticut. A Visual Merchandise Manager for 37 years, she has been around art from the age of eight, taking art lessons and dreaming of dressing mannequins. Love of nature shows in her work from various places in which she grew up, from the New Jersey shore and ending up in the Connecticut River Valley where her studio is at her Chester home. The Pattaconk Brook runs through her backyard. Chester Village West is at 317 West Main Street (Rte. 148), near the Killingworth line. 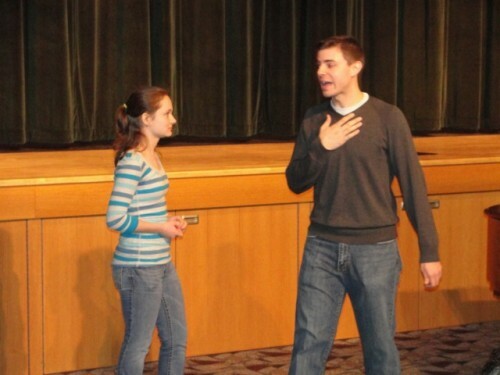 Ryan Driscoll, a Deep River native and graduate of Valley Regional High School, taught the second Master Class to Valley Regional Musical Production students Saturday. The first class was recently taught by Peter Lockyer, also a VRHS graduate, who was in town directing at the Ivoryton Playhouse. 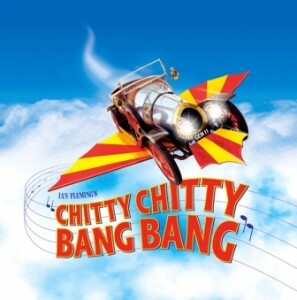 Driscoll will conduct the Valley Regional Musical Production Spring musical Chitty Chitty Bang Bang on March 25-27, 2011. He will also sing at the Fundraiser Concert in conjunction with Business as Usual a professional acapella group, lead female vocalist is the Vocal Director for Chitty. Tickets are $10 and $5, sold at VRHS 526-5328 or at the door. ESSEX— The board of selectmen has scheduled a March 2 public hearing on the proposed abandonment of Toby Hill Road in the Ivoryton section, a step that has been recommended by the town’s planning commission. The planning commission had recommended the town consider discontinuing the road last year, with the selectmen discussing the issue and then deferring action in the fall. In a Dec. 22 letter, the commission again urged the selectmen to consider formally abandoning the road. Toby Hill Road is an old road that extends from Westbrook to an intersection with Pond Meadow Road in Ivoryton. While most of the road in Westbrook is paved with new subdivision roads extending off it, the small section of the road in Ivoryton is an unimproved dirt and gravel road. There are currently two houses on the unimproved section of road in Ivoryton. Westbrook land use commissions are currently considering a new six-lot subdivision application for land at the northern end of Toby Hill Road in Westbrook, a plan that could eventually include proposed subdivision lots in Ivoryton, and require costly improvements to the road and intersection in Ivoryton. 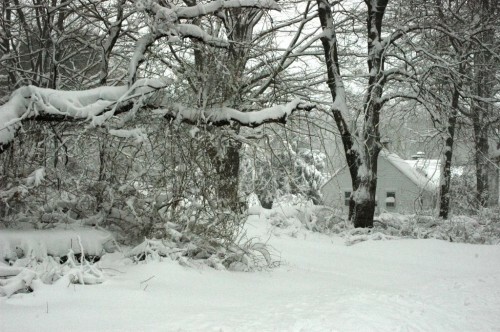 The planning commission, in recommending the selectmen move to abandon the section of road in Ivoryton, noted the “limited length of road in Essex, the poor condition of the road, and the very difficult nature of the intersection with Pond Meadow Road.” The panel noted that with no subdivision applications currently pending in Essex “now is an opportune time” to act on discontinuing the road. Abandoning or discontinuing the road would require approval from voters at a town meeting. Ownership of the roadway would revert to the two property owners with homes on the road. First Selectman Phil Miller said he favors discontinuing the road to avoid the possibility the town could be forced to help fund improvements to the road and intersection. Selectman Norman Needleman said the planning commission should “make the case” for abandoning the road at the public hearing. The public hearing is scheduled to convene on March 2 at 7:30 p.m. in town hall. The hearing agenda will also include discussion of a proposed new town ordinance regulating the discharge of storm water from private property. The Ivoryton Playhouse will be holding Equity and non-Equity auditions for all roles (adults only) for an April production of Alan Ayckbourn’s “How the Other Half Loves” on Thursday, Feb. 3 from 2 p.m. – 8 p.m at the Rehearsal Studio, 24 Main Street, Centerbrook. Candidates are asked to bring a picture and resume, stapled together. The nationally-renowned Elm City Girls’ Choir will present a concert on Friday, Feb. 4, 2011, at 7:00pm at Deep River Congregational Church, 1 Church Street, Deep River, CT. Come experience the premier ensemble of the United Choir School, New England’s fastest growing youth choral program. The performance will feature a wide range of musical selections, including classical works, folk songs, and music from around the world. A freewill offering will be accepted at the door, with all proceeds benefiting the United Choir School Scholarship Fund. For further information please call (203) 787-1244 or e-mail info@unitedchoir.com. The Elm City Girls’ Choir is New England’s most highly acclaimed girls’ choral ensemble. Based in New Haven, the Choir has appeared at Carnegie Hall, Lincoln Center, Walt Disney World, and on CBS Television. Since its founding in 1993, ECGC has performed with many respected choral groups, such as the New York Virtuoso Singers, CONCORA, The American Boychoir, The Yale Glee Club, The Yale Camerata, Newark Boy’s Chorus and Village Harmony, and with professional orchestras including the Boston Philharmonic, New Haven Symphony, Yale Symphony, and Moscow State Orchestra. 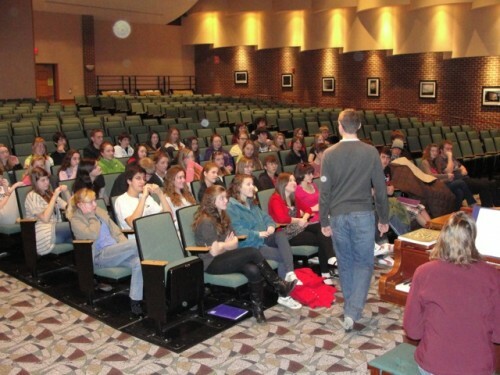 In addition, the Choir has been featured at conferences of the Connecticut Chapter of the American Choral Directors Association and the United Church of Christ Musicians Association. In September, 2001, ECGC performed God Bless America with Diana Ross at the women’s finals match of the U.S. Open Tennis Tournament. 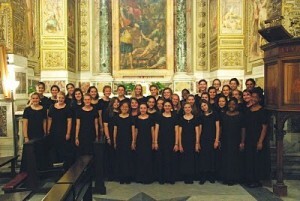 The Elm City Girls’ Choir has toured extensively throughout Europe and North America. ECGC is the premier ensemble of United Choir School LLC, a private, non-sectarian educational organization that provides musical training and performance opportunities to over 500 talented young musicians, ages 6-18, throughout Connecticut. In addition to the Elm City Girls’ Choir, United Choir School operates satellite ensembles (United Girls’ Choir) in Branford, Cheshire, Clinton, Hamden, Killingworth, Madison, Milford, Shelton, and North Haven, and is currently in the process of establishing additional chapters in communities throughout the state. Valentine’s Day is a time for love, and who doesn’t love to laugh? So come to the Deep River Town Hall Auditorium on Saturday, Feb. 12 for KARMIC RELIEF, an all-new improv show by Connecticut’s favorite troupe Comedy On Demand, sponsored by the Sanctuary at Shepardfields in East Haddam. In addition to improv, the evening will feature food, live lounge music by the Karmic Relief Band and a silent art auction. The event is a fund-raiser for the Community Greenhouse Project at the Sanctuary, a 501(c)(3) organization that promotes environmental education and interfaith spirituality. The project involves the creation of a sustainable living laboratory, a four-season community garden, and a community meeting space. It is a key component in the Sanctuary’s mission to create a fully self-sufficient infrastructure to educate and promote sustainable and nonviolent ways of livelihood that value and protect the community’s health, wealth and happiness. A portion of the proceeds will also go to benefit Shoreline Soup Kitchens & Pantries. When the greenhouse is complete, the Sanctuary will be able to produce and donate organic, local food directly. KARMIC RELIEF will include spoofs on dating games and other Valentines’ Day rituals. Comedy On Demand, a Connecticut-based troupe, features professional improv performers Chris Devlin Brown, Dave Caffrey, Robin Fox, Casey O’Neill, Michele Ridolfi O’Neill, Anna Maria Trusky, and Kit Webb. The evening’s program will begin at 6:30 with a silent auction and hors d’oeuvres. The improv show is at 7:30, followed by Love Lounge music with the Karmic Relief Band at 9:00. Ticket donation is $20; tickets may be purchased online at http://oursanctuary.org, in person at the Sanctuary, 59 Bogel Road, East Haddam. For more information please call the Sanctuary at (860) 319-1134. The Deep River Town Hall is at 174 Main Street. Fun with World World Languages. Interactive fun for children ages 3 to 5 and their parents. Led by: Michele Schofield, World Language Teacher & participant in the Yale University East Asian Studies Program. Essex Library Association, Essex, CT. Jan. 21 from 10 AM to 10:30 AM. How about raising a future guide dog puppy? Looking to do something extraordinary in 2011? 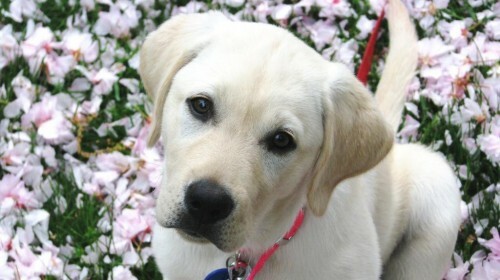 How about raising a future guide dog puppy and giving the gift of independence to someone in need? 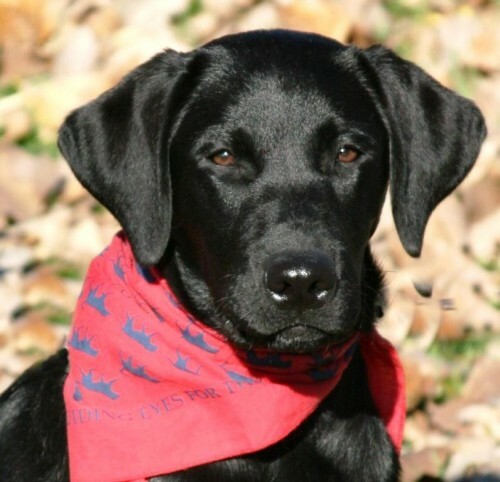 Guiding Eyes for the Blind is looking for volunteers who want to make a difference this year. Our dedicated puppy raisers take our superbly bred Labradors into their homes for 14 – 16 months and receive weekly support from our local region team as well as free vet care. Pre-Placement classes for the Southern CT region begin on Saturday, Feb. 5 at 12:00 p.m. in Wallingford . Puppy classes are held weekly and bi-weekly (depending on level) in Wallingford , Guilford and Deep River . CHESTER— The case of former town tax assessor Patricia Stevenson, who was dismissed on a 2-1 vote of the board of selectmen last May, is now headed for superior court. Both the town and Stevenson’s union, Council 4 of the American Federation of State, County and Municipal Employees AFSCME) are appealing a decision issued in November by the State Board of Mediation and Arbitration. First Selectman Tom Marsh, who updated the selectmen on the case earlier this month, has declined to release the state board’s written decision because it remains under appeal. But Stevenson, a Killingworth resident who had served as a full-time tax assessor in Chester since 2001, said last week the state order would require the town to pay her the difference between her unemployment compensation and her previous salary from last May through November. Stevenson, who had also served previously as assessor and assistant assessor in Westbrook, had been receiving $31 per hour for a 30-hour week. Despite the provision for back pay, Stevenson, who is 67, said she wants to appeal the decision because it did not require her return to the job. “I still want to work and I need to work,” she said. In moving to restructure the assessor position last spring, Marsh had cited a town ordinance that calls for appointing the assessor to a specified term, while the board of selectmen had not acted on a reappointment of the assessor for several years. Marsh also cited cost savings from reducing the hours for a state certified assessor. The board of selectmen, citing the appointment provision, dismissed Stevenson from the job last May on a 2-1 vote, with Democratic Selectman Lawrence Sypher opposed. After retaining an assessor from Waterford on a part-time basis for several months, the board of selectmen last fall approved an agreement with Loreta Zdanys, the tax assessor for East Haddam, to serve as a part-time assessor for Chester. Marsh said Zdanys is working as assessor in Chester 16 hours per week, at a cost of about $800 per week. Paul Wallace, staff representative for AFSCME Council 4, said it would be several months before a court hearing is scheduled on Stevenson’s case, with the hearing likely to be held in Hartford or New Britain. Under the direction of John Sebastian DeNicola, The Saybrook Stage Company’s actors are as real as the characters they portray – some are professional actors, some returning to the stage after years away and some relatively new to the stage – but the combination of personalities and talent will win your heart from the very first Act. The company is thrilled to perform their debut production at The Kate because it has special meaning for them in that the building that houses the beautifully renovated theater was the original home of the first stage company in town – The Old Saybrook Musical and Dramatic Club. The Saybrook Stage Company hopes to serve the shoreline as a stage company that will provide an outlet for all who have a genuine love of theater. Although Wilder wrote Our Town back in 1938, it is still one of the most performed pieces of theatrical works today for the worries, joys and tragedies that the characters live through are virtually the same ones we face today. So be sure to venture out of your town to experience “Our Town” at The Kate – where you will be awakened to truly enjoy life for what it is – a precious gift to be savored and appreciated – every, every minute. AREAWIDE— Democrats have nominated Essex first selectman Phil Miller to run for the 36th House District seat in the Feb. 22 special election. Miller, who has served as first selectman since 2003, was nominated in a convention held Monday night at the Ivoryton Playhouse after a brief contest with Diane Stock of Haddam. He will compete for the seat with Republican nominee Janet Peckinpaugh of Essex, a former television newscaster who ran unsuccessfully last year as the Republican for the 2nd Congressional District of eastern Connecticut. The seat was left open after former Rep. James Spallone of Essex, who was re-elected to a sixth term last November, became deputy secretary of the state. The 15 delegates from the four district towns of Chester, Deep River, Essex, and Haddam, were joined by about 50 Democratic town committee members and other interested Democrats as the convention was merged with a candidate forum that had been postponed due to last week’s snowstorm. Miller and Stock answered questions from delegates and town committee members for about 45 minutes. Stock, a former college instructor who served previously on the Haddam-Killingworth Region 17 Board of Education, was the unsuccessful party nominee for first selectman of Haddam in 2009. The candidates offered a similar prescription for ending the state budget deficit, declaring they are prepared to support a mix of revenue increases and spending reductions. Miller said he would be ready to consider a “more progressive income tax,” and possible reductions in the state work force. The candidates were also questioned on the time commitment they would devote to the position. Stock said she views the position of state representative as a “part-time plus job,” while adding that she would devote full time to the position. Miller said he would continue serving as first selectman in Essex, holding both jobs, through the end of his current term in November. “I could definitely do both of them knowing my abilities and work ethic,” he said. The nomination was determined quickly, as the delegates from Chester and Deep River supported Miller, putting him close to the majority. As the four Essex delegates began stating their support for Miller, Stock conceded and called for a unanimous vote of the delegates. Stock, who had run as a petition candidate for first selectman in Haddam in 2007, pledged to actively support Miller in the five-week campaign. Miller said he would work hard to win the seat, while adding harsh winter weather would limit the door-to-door campaigning he has done in Essex town elections. “I will do my best and always consider the best interests of the towns,” he said. As the convention closed, delegates and party members were asked for contributions that would help Miller qualify for public matching funds for the campaign under the state’s Citizens Elections Program. To receive state matching funds for the short campaign, Miller and Peckinpaugh must raise at least $3,750 in small contributions from at least 118 residents of the four-town district. 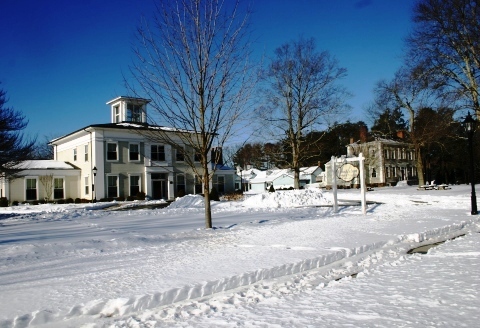 CHESTER— The board of selectmen will hold a forum Tuesday to receive input from residents before preparation of a proposed town budget for 2011-2012. The session begins at 7:30 p.m. in the town meeting house on Liberty St.
First Selectman Tom Marsh said the forum would give residents a chance to express an opinion or ask questions on town finances and spending before the board begins work on a spending plan for the next fiscal year. For the third year, Marsh has also posted a survey on the town website that allows residents to express views on the town budget, including whether the local tax rate is too low or too high. The board of selectmen and board of financer will present a proposed town government budget to residents at a public hearing in April, with a town meeting vote on the budget to follow in May. One of the largest components of the total town spending package, the Region 4 education budget that funds the operation of Valley Regional High School and John Winthrop Middle School, goes to the voters of Chester, Deep River, and Essex in a May referendum. The second concert in the Essex Winter Series 2011 season will feature soprano Dawn Upshaw and pianist Gilbert Kalish on Sunday Jan. 30 at 3 p.m. at the Valley Regional High School. 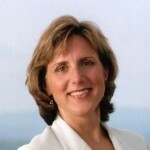 Four-time Grammy Award winner Dawn Upshaw has achieved worldwide celebrity as a singer of opera and concert repertoire ranging from sacred works to today’s freshest sounds. Her acclaimed performances comprise the great Mozart roles (Pamina, Ilia, Susanna, Despina) as well as modern works by Stravinsky, Poulenc and Messiaen. Her ability to reach to the heart of music and text has earned her the devotion of an exceptionally diverse audience. A long-time collaborator and distinguished pianist, Gilbert Kalish will join Ms. Upshaw for an unforgettable debut recital with the Essex Winter Series. All concerts are on Sundays. Our first three are at 3 p.m. at Valley Regional High School. The final concert on March 27 is at 4 p.m. at John Winthrop Junior High School. The Bank annually commits 10% of its after tax net income to qualifying organizations within the immediate market area consisting of Chester, Deep River, Essex, Lyme, Madison, Old Lyme, Old Saybrook and Westbrook. This program provides financial support to over 200 non-profit organizations who offer outstanding services to the ever increasing needs of our communities. By year end, a total of $3,161,000 will have been distributed since inception in 1996. Essex Savings Bank customers determine 30% of the fund allocations each year by voting directly for three of their favorite causes, charities or organizations who have submitted applications to participate. Ballots will be available at all Essex Savings Bank Offices between February 1 and March 15 to determine an allocation of $73,000. The Bank’s Directors, Senior Officers and Branch Managers distribute the remaining 70%, or $170,600. Act II Thrift Shop, Inc. The Lyme Fire Company, Inc.
Brazilian and American Youth Cultural Exchange (BRAYCE) Lyme Land Conservation Trust, Inc.
Camp Hazen YMCA Lyme-Old Lyme Safe Graduation Party, Inc.
Cappella Cantorum, Inc. Lyme Public Hall Association, Inc.
CDE (Chester, Deep River, Essex) Cooperative Nursery School Lyme Public Library, Inc.
Chester Historical Society Madison Ambulance Association, Inc.
Chester Land Trust, Inc. Madison Community Services, Inc.
Con Brio Choral Society, Inc. Madison Historical Society, Inc. The Connecticut River Museum at Steamboat Dock Madison Land Conservation, Inc. Deep River Ambulance Association, Inc. Maritime Education Network, Inc. The Deep River Ancient Muster Scholarship Trust Musical Masterworks, Inc.
Essex Ambulance Association, Inc. Old Lyme Conservation Trust, Inc. The Essex Art Association, Incorporated Old Lyme Fire Department, Inc.
Essex Elementary School Foundation, Inc. Old Lyme South End Volunteer Ambulance Association, Inc.
Essex Elementary School Parent-Teacher Organization, Inc. Old Lyme Visiting Nurse Association, Inc.
Essex Garden Club, Inc. Old Saybrook Fire Company Number One, Inc.
Essex Land Trust, Inc. Old Saybrook Land Trust, Inc.
Essex Library Association Old Saybrook Soccer Club, Inc.
Essex Meadows Foundation, Inc. (Scholarships) Old Saybrook Youth & Family Services Foundation, Inc.
Estuary Council of Seniors, Inc. – Meals on Wheels Pet Connections, Inc.
Forgotten Felines, Inc. The Region 4 Education Foundation, Inc.
Graduation Night, Inc. – Old Saybrook Shoreline Youth Baseball League, Inc.
Ivoryton Library Association Tracy Art Center, Inc.
Ivoryton Playhouse Foundation, Inc. Tri-Town Youth Services Bureau, Inc.
Lyme Ambulance Association, Inc. Vista Vocational & Life Skills Center, Inc.
Essex Savings Bank is a FDIC insured, state chartered, mutual savings bank established in 1851. The Bank serves the Lower Connecticut River Valley with five offices in Essex (2), Madison, Old Saybrook, Old Lyme. Financial, estate, insurance and retirement planning are offered throughout the state by the Bank’s Trust Department and subsidiary, Essex Financial Services, Inc., Member FINRA, SIPC. Investments in stocks, bonds, mutual funds and annuities are not FDIC insured, may lose value, are not a deposit, have no Bank guarantee and are not insured by any Federal Government Agency. North Cove Outfitters of Old Saybrook is proud to offer a series of four free fly tying clinics each Saturday in February, from 10:00 a.m – 1 p.m. Fishing staff will review tying techniques and some of their favorite patterns. These are patterns that their fishing staff love to tie and have proven effective in CT waters and beyond. Attendees should bring your own vise and tying tools and North Cove Outfitters will provide the materials. Please call the fishing department to reserve a seat. Call 860-388-6585 ext 307 visit www.northcove.com for more information. 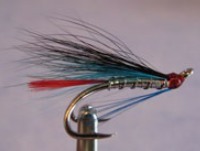 An introduction to tying flies for Atlantic Salmon. patterns & techniques for tying castable big flies that catch fish! Deep River Elementary School PTO will be hosting a fundraising Bingo night on Friday Feb. 4 from 7 – 9 p.m. at the John Winthrop Middle School. Guest MC will be the Deep River Elementary School Principal, Dr. Pietrick. There will be refreshments and raffle prizes, and all are welcome. 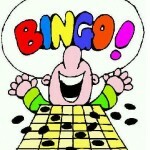 Doors will at 6.30 p.m. For further information, contact Jimmy Delano, the Bingo Chairperson of the DRES PTO at (860) 227-1159. While away a winter’s day with a new (to you) book from the Friends of Chester Library used book sale. The sale begins on Friday, Jan. 21 at 10 a.m. and will run for two weeks during regular library hours. As usual, there will be a wide selection of hardcover and paperback books for both children and adults, offered at great prices, typically ranging from just 2- bits to a dollar! The Chester Public Library is located at 21 West Main Street in Chester, CT. Call 860-526-0018 for additional information. Library hours are Mon 10-8; Tues 2-6; Weds. 10-6; Thurs 2-8; Fri. 10-6; Sat. 10-2. CENTERBROOK – Community Music School’s Sinfonia (formerly Junior Strings) and String Ensemble will perform in concert at Valley Regional High School on Tuesday, Jan. 25 at 7 p.m. Members of these multi-generational performing ensembles, which are directed by Martha Herrle, represent Essex, Ivoryton, Old Saybrook, Chester, Deep River, East Haddam, Lyme, Old Lyme, and a number of other towns. Music to be performed includes Ode to Joy, Over the Rainbow, the Brandenburg Concerto, and Pirates of the Caribbean. The concert is free and open to the public. 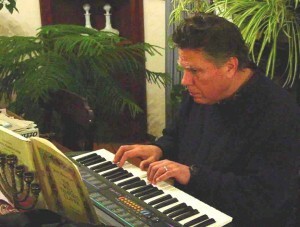 Please call 860-767-0026 or visit www.community-music-school.org for additional information. The Estuary Council of Seniors Regional Senior Center provides Meals on Wheels to seniors living along the shoreline. They deliver meals to Chester, Clinton, Deep River, Essex, Killingworth, Lyme, Old Lyme, Old Saybrook, Westbrook and Madison. In addition to their delivery service, they serve hot meals at several Café sites in the area. The donation request for their homebound meals and Café Meals have increased to $2.75 per meal. Whether you need meals for a short time (after surgery) or longer term, they are able to meet your needs. Delicious meals are cooked by a dedicated kitchen staff at their Old Saybrook location and sent out hot every week day. Frozen meals are also available for dinners and weekends. Diners can also enjoy a meal at one of their Café sites located in Chester, Clinton, Old Lyme, Old Saybrook and Westbrook. A hot meal is served every week day (Thurs. only in Westbrook) promptly at Noon. Reservations are required by calling 860-388-1611 by 11 am, 24 hours in advance. The menu is listed in their monthly newsletter or can be viewed online by going to www.ecsenior.org/menu.php. A $2.75 donation is requested for those aged 60 or older; otherwise cost is $6.25. These are donation requests and nobody is ever turned away for non-payment. The Estuary Council also serves a hot breakfast (Monday – Friday from 7:45-9 am, Saturday from 8am-Noon) at the Estuary Council Regional Senior Center, 220 Main St., Old Saybrook. Diners can enjoy made to order pancakes, omelets, bacon, sausage, juice, and more as well as meet family and friends and enjoy the best breakfast on the shoreline with views of scenic North Cove from the dining room or on the outdoor patio. Suggested Donation $2.75 for those aged 60 and better- $5.25 for those under age 60. No reservations required for breakfast. Call Diane Baxter at 388-1611 for more information. Meals are supported by Senior Resources Agency on Aging with Title III funds available under the Older Americans Act. If you are looking for something to brighten up these cold winter days, mark your calendar now for Saturday, Jan. 29 when the-e-fair is being held. This event is being organized by the dynamic Erica Tannen, who publishes the universally popular e-list, and will take place at Sonalyst Studios in Waterford. The-e-fair features Indie Fashion, local food and rising musical talent and offers the opportunity to enjoy deep discounts on designer clothes, accessories, jewelry, food and more. It could aptly be described as an alternative mall open for one special day only! For the last two years, the-e-list has presented the Insane Insidewalk Sale, a highly successful, extreme shopping event, which over 900 Shoreline shoppers attended. This year, the-e-fair, a mid-winter festival and celebration of all things local, will be held in a 15,000 square foot sound stage at Sonalyst Studios, one minute off I 95 in Waterford (exit 81). Thirty Shoreline shops and designers will be selling their wares at 30 – 75% off retail prices and a cadre of food trucks including The Cupcake Truck, The Grilled Cheese Truck and The Beach Street Sandwich Truck will also be on hand. Plus some of the Shoreline’s best restaurants, including The River Tavern at Chester and Liv’s Oyster Bar in Old Saybrook, will be tempting your palate. Local beer, wine, coffee and chocolate milk will also all be offered. Two concerts round out the day, the popular Mystic band Barefoot Truth will perform at 1 p.m., and rising NYC star Rene Lopez will take the stage at 4 p.m. The event runs from 11a.m. to 7 p.m. and includes activities to keep the entire family amused including a photo booth, henna tattoos, a craft booth staffed by the educators at the Florence Griswold Museum, and more. In the event of snow, the-e-fair will be held Sunday, Jan. 30, at the same time. Off-Broadway musical theater star and home-town boy Ryan Driscoll performs at benefit for Valley Regional High School’s 2011 musical production, joining forces with professional a cappella group Business As Usual, and the student cast of the upcoming production of Chitty Chitty Bang Bang, Saturday Feb. 12 at 7 p.m.
Tickets for the show, priced at $10 for adults and $5 for students, can be purchased at Valley Regional High School, at 256 Kelsey Hill Road in Deep River. Driscoll, who created the starring role of Hermie in the musical Summer of ’42 at the Goodspeed Opera and Off-Broadway, is one of VRMP’s director Ingrid Walsh’s favorite alumni. He has returned to conduct their spring production. Joined with Female acapella singer from BAU, who is the Music Director for the spring musical, the evening promises great music, laughter, and surprises, with all proceeds going to support Valley Regional’s 2011 student production of Chitty Chitty Bang Bang, running Marth 25 -27. Local businesses have found a great way to support VRMP while gaining terrific exposure for their products and services is through an ad in the musical’s program. Prices are amazingly low, starting at just $10, with prime display ad space available for very reasonable rates. Please contact director Ingrid Walsh, at ingpilot@gmail.com for rates and information. 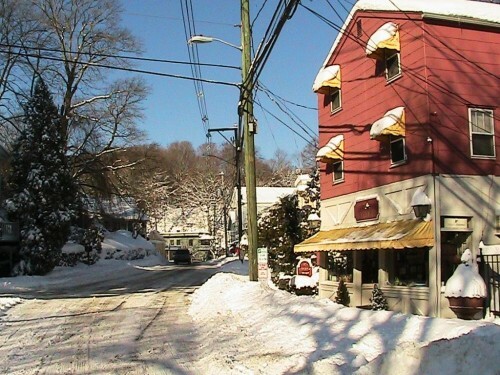 ESSEX— The zoning commission has scheduled a Jan. 24 public hearing on a special permit application for a pastry shop in vacant space in the shopping plaza at 31-33 Main St. in the Centerbrook section. The hearing begins at 7 p.m. in the town hall. William and Jacqueline Von Ahnen of Ivoryton are seeking approval to open a pastry shop in the vacant space on the west side of the small shopping complex. The couple had previously worked at the Copper Beech Inn in Ivoryton and ran a pastry shop as part the now closed DuGlace bistro restaurant in Deep River. The commission last fall approved a permit for a cheese shop in another space at the four-unit shopping plaza. The Cheese Shop at Centerbrook opened in December. The plaza, which also houses Centerbrook Package Store and Debbie’s Restaurant, is owned by JMB Properties LLC of Cheshire. For this career column I planned to look into the kinds of jobs available in the pharmaceutical industry. I thought I would have a look and report back, so readers could be better informed and get an idea about whether this would be a good direction to head in. It seemed like it might be an exciting industry to work in, with its focus on developing new drugs and all of the news about recent developments in genetics and stem cell research. Hours later I can conclude that the employment picture for Big Pharma is a lot more complicated than one would think, and the news is gloomy. I examined Pfizer as a local and representative example. Pfizer lists 146 openings in the United States and about 80 internationally. However, Pfizer reportedly cut 10,000 jobs in 2007 after failure of a new drug, 19,500 jobs in 2009 as a result of a buyout of Wyeth (which led to redundant jobs), and another 8,480 jobs in 2010, leaving a lot of angry former employees. Hoover’s, a reliable source of industry information, lists Pfizer as having 116,500 employees in 2009. So the 146 open positions listed in the United States are a trifle. Obviously there are other pharmaceutical companies that have openings, including Genentech, NovoNordisk, and Abbott Laboratories among Fortune 500 companies. According to the Bureau of Labor statistics (BLS), pharmaceutical manufacturers altogether employed over 280,000 people in 2008. Many of these people, perhaps 40%, were employed on the business or office support end of the industry, in jobs that involve financial planning, business analysis, marketing, sales (the number of sales representatives is diminishing at a high rate, however), contracting, outsourcing, corporate communications, and public affairs. About 30% were scientists or other professionals and a smaller percentage worked in production. It seems that those who have a science and business background will be best prepared to work in the pharmaceutical industry. Mostly business with a science background would be a good bet. Those seeking a life in research after obtaining a doctoral degree in the life sciences should plan carefully when they decide where and what to study and which lines of research to pursue. There are exciting and rewarding research positions available in academia and in the pharmaceutical industry, but not enough for all who want them. It’s hard to say what will allow production workers to get and keep a job with Big Pharma. Production workers do not need to be highly educated and there are not many job openings, so there is a lot of competition. Relying on friends and family already employed in a factory to pull someone in, the old fashioned kind of networking, could be key. www.sciencecareers.sciencemag.org is full of information and career advice for scientists and others looking for work, and it has a good science job board. www.biojobblog.com/ is more personal and has a lot of interesting observations and career advice, especially for life scientists. AREAWIDE— Former television anchorwoman and 2010 congressional candidate Janet Peckinpaugh of Essex won the Republican nomination for the 36th House District special election Tuesday night after a five-ballot contested convention. Peckinpaugh, who was the unsuccessful Republican nominee last year in the 2nd Congressional District of eastern Connecticut, defeated Doreen Bielot Joslow of Chester and Chet Harris of Haddam, the party’s unsuccessful nominee in the 36th District last year. Peckinpaugh secured the nomination over Joslow on an 8-7 delegate vote after four of five Haddam delegates switched their support to her on the fifth ballot. The special election, set for Tuesday Feb. 22, was called after five-term Democratic State Rep. James Spallone of Essex accepted the position of deputy secretary of the state. Spallone won his sixth term last November over Harris on a 6,055-4,332 vote in the district that is comprised of the towns of Chester, Deep River, Essex, and Haddam. Joslow was nominated by Tom Lindner of Deep River, an officer of the Essex Savings Bank who is the longtime town treasurer. Lindner noted that Joslow is a Deep River native and small business owner. “Roots are important and she has roots,” he declared. Joslow also received a seconding speech from Christopher Morano of Essex, the former chief state’s attorney who attended Valley Regional High School with her in the 1970s. Joslow, a former member of the Chester Board of Education, is married to Jon Joslow, son of the late David Joslow, who founded the Inn at Chester and the town industrial park on Inspiration Lane. The couple own Scofield Historic Lighting in the Ivoryton section of Essex. Joslow had formed an exploratory committee to run against Spallone last year, but later decided not to run. The convention was deadlocked for three ballots, with Joslow receiving six votes from the Chester and Deep River delegates, Harris five votes from the Haddam delegates, and Peckinpaugh four votes from the Essex delegates. On the fourth ballot, Haddam delegate Judd Howes switched to Joslow, giving her seven votes, but leaving her one vote short of the eight delegates that would represent a majority for the nomination. 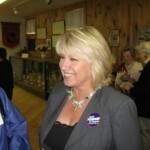 Peckinpaugh won the nomination on the fifth ballot after Gronbach and three other Haddam delegates including Harris switched to give her eight votes to seven for Joslow. Peckinpaugh pledged to work hard in the five-week special election campaign, and not seek other elected office if she is elected as state representative. “I will not let you down, we will win this seat,” she said. Joslow pledged to actively support Peckinpaugh in the special election campaign. Democrats will nominate a special election candidate in a convention set for Monday at 7 p.m. at the Ivoryton Playhouse. Essex First Selectman Phil Miller is a candidate for the nomination, along with Diane Stock of Haddam, who was the unsuccessful Democratic nominee for first selectman in Haddam in 2009. After the first big snow storm to hit the region this winter local residents are faced with the task of digging themselves out from as much as two feet of new snow. Most areas along the shore got more than 12″of new snow, and some got nearly two feet, in addition to several inches of snow from earlier snowfalls during the weekend. 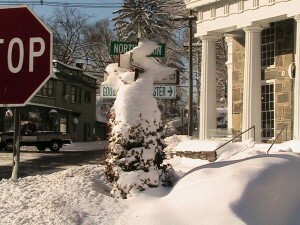 Many local businesses were closed for the day and Gov. Dannel Malloy announced that all non-essential State employees who work the first shift should stay at home. Region 4, Region 18, Old Saybrook and East Lyme public schools were all closed for the day and most scheduled Town meetings have been cancelled. Snow removal crews were out all night trying to stay ahead of the storm. 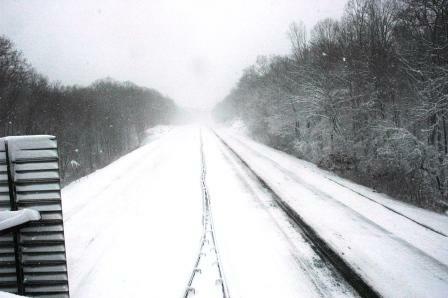 I-95 was passable but deserted, with only the occassional snowplow or truck on the highway at 9am today. As the the last few flurries of the storm pass through the area, residents are now faced with the task of digging themselves out. There will be a benefit concert on Saturday, Jan. 29, 2011 at 7:00 p.m. at Middletown High School in Middletown for The Elizabeth Swaim/Middletown Schools String Program.Performers at the concert will include Neely Bruce, a well known composer and professor at Wesleyan University; Cyrus Stevens, a violinist from the Hartford Symphony Orchestra and well known performer of contemporary music. As well as membership in Boston and New York contemporary music organizations, Cyrus has performed the Berg Violin Concerto numerous times for the New York City Ballet. Mark S. Holland, a composer from New York City will premiere a composition of his with Cyrus Stevens. Carolyn Halsted, a well known pianist in Middletown and beyond will accompany Stacey Grimaldi who will be performing several Spanish Songs. Stacey is known statewide for her solo soprano work with Concora. Elena Roussanova, from Boston will accompany Stacey as she performs Elena’s songs. Ms. Roussanova, a composer/pianist, is originally from Moscow where she attended the Moscow Conservatory and was the recipient of the composition and piano prizes. Christopher Montgomery, a composer and a retired music librarian of Wesleyan University will have a composition premiered as well. Christopher’s composition, Two Cities, has been recorded in Prague with the Dvorak Symphony Orchestra and released on the Albany Records Label. Santo Fragilio, a long time teacher and violinist in Middletown will perform. Pinar Gosterilsli, Colleen Weiner, Danny Solerno, Melissa Morgan, and Lauren Chambers all teachers in the program will take part as well as some of the students of the program. The String program began several years ago with a generous bequest from Elizabeth Swaim, a Rare Books Librarian at Wesleyan University. Her donation to the Middlesex County Community Foundation created the Arts Enhancement Fund which was the impetus for the string program and many others. The String Program started as an after-school program for elementary school students and has grown into a cooperative program with the Middletown School System. A string teacher was hired by the Middletown Board of Education to instruct the students as they entered Middle School and beyond. From the inception, the Middletown Board has provided venues and bussing for the after-school program. This cooperation between the Foundation and the Middletown Public Schools has served the students of town so well that there are now approximately 250 students studying strings in the Middletown Schools and the first real Orchestral Program in Middletown is a reality. For the first time in the history of The Hartford Symphony Orchestra’s cooperative outreach program with Middletown High School, string players who are now freshmen and sophomores at Middletown High School will perform side by side with their Hartford Symphony counterparts in a 2011 concert at the Bushnell. Tri-Town Youth Services will host a Family Fun activity on Saturday, Jan. 22, 2011 at Tri-Town, 56 High Street in Deep River. Mad Science of Southwestern Connecticut (www.madscience.org), a leading provider of science-based enrichment activities, will present a hands-on workshop titled, “Adventures in Air” from 3-4 p.m. Participants will make and take home a project. This program is for children ages 4-12 and their parents. Tri-Town Youth Services will present a parenting program, “Discipline: Teaching Appropriate Behavior – including Listening” on Thursday, Jan. 20, 2011, 6:30–8 p.m. in the John Winthrop Middle School Library. Linda Stuhlman, an Early Childhood Consultant, will present this program to help young families enjoy daily life with young children. Anyone interested in attending should call Tri-Town at 860-526-3600 to register by January 13. The fee is $10 per family.